Discover the secrets behind the Doctor's most untrustworthy companion ever! Turlough was very different to the companions of today. You were the last alien companion in the TV show until Kylie Minogue as Astrid Peth. Was I? Fantastic! I love it. [Laughs] Me and Kylie! But weren't you also a baddie? Yes! But I wasn't really. Turlough wanted to kill the Doctor at first, but that was because of his situation. He wasn't what he seemed. People said I was too old to play a 16 year-old schoolboy. I was 22 or 23 when I started. But that was the point! I was an alien pretending to be a schoolboy. So who was Turlough really? On my own planet, Trion, I had been a prince. But there had been a revolution and I'd lost, so had to flee the planet. I'd been placed in this school by my 'guardian', a shadowy figure in London, who controlled my life. The Black Guardian wanted me to kill the Doctor. I didn't have any choice! I was just undercover as a schoolboy. But when we first meet him, Turlough is stealing a car! Wouldn't that draw attention? Yes, but I'd obviously got fed up of the school. Or somewhere deep in my waters I knew the Doctor was going to arrive soon! Did you actually drive that car? Oh yeah, that was amazing. That was my first day of recording on Doctor Who. It was a really, really expensive vintage car, with double declutching and quite difficult to drive. And I had to drive it fast! But they said, "Off you go," and I did. That was brilliant. 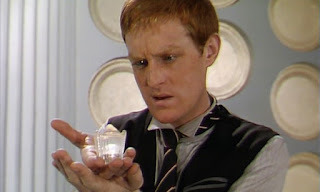 So what was the first thing you shot as Turlough? The first scene we did was me encouraging Hippo to drive off in the car. In those days, filming on location happened before the studio stuff, so I'd not worked with anyone else on the team. I'd met the producer, John Nathan Turner, and the script editor, Eric Saward but I didn't know anyone else. And how was that first day? We had no rehearsal for the filming, so I knew what I did that day would be Turlough for the next two years or however long I'd be in the series. He'd be whatever I did that day – I couldn't go back and change it. So that was quite frightening. But the producer was happy with what you did? He did draw me aside after the first take and said, "That was really good but could you be a bit posher?" Turlough was meant to be at public school! But I said, "That's as posh as I get." Luckily, he said, "Okay, that's all right." So that was Turlough. I was an alien. So I had a silly make-up job for two hours every day, where they glued my eyebrows up and dyed my hair this bright, metallic red. Can't aliens have blond hair? Yes, but I looked too much like Peter Davison. This is true, honestly! They decided that, in long shots, when the camera was a long way away from us, Peter and I would look the same. Peter's hair was blond and my hair was blond. So they made you dye your hair? First, John - the producer - said, "Mark, we'd like you to have all your hair cut off." I didn't really want to have all my hair cut off. It was only a six-month contract to start with, so I pointed out to John that he'd have to pay me for loss of earnings for the two months afterwards, while I grew my hair back. That put things in a bit of perspective! He said, "Okay, we'll cut it short and dye it really, really ginger." No, it doesn't. John said it would be a wash-out dye. So I went to the first day's filming at six o'clock in the morning and they cut and dyed my hair. That was how I was going to be as Turlough and that was fine. We did the filming – I drove that old car and it was great. Then I went home, got under the shower and nothing washed out. Nothing! There wasn't a trace of dye coming anywhere. But I woke up in the morning and my pillow was completely covered in red stuff. That was my life for the next two years! But no one would mistake you for Peter Davison. 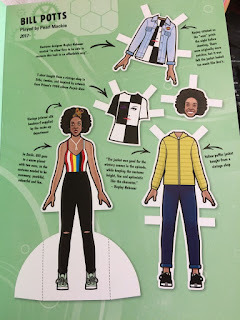 It made me instantly recognisable! So you were a star? No! Children used to run away from me in the street! Thanks to Paul Ballard, Tony Jordan and Dexter O'Neill for help arranging the interview.